Royal & aristocratic families are known for their fondness of marrying within their own clique. 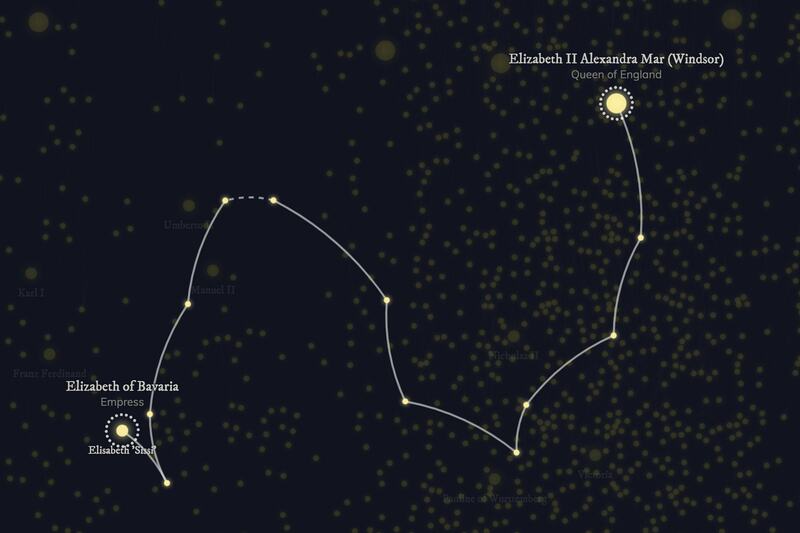 This leads to very interesting & entangled family trees which the Royal Constellations visual tries to convey. 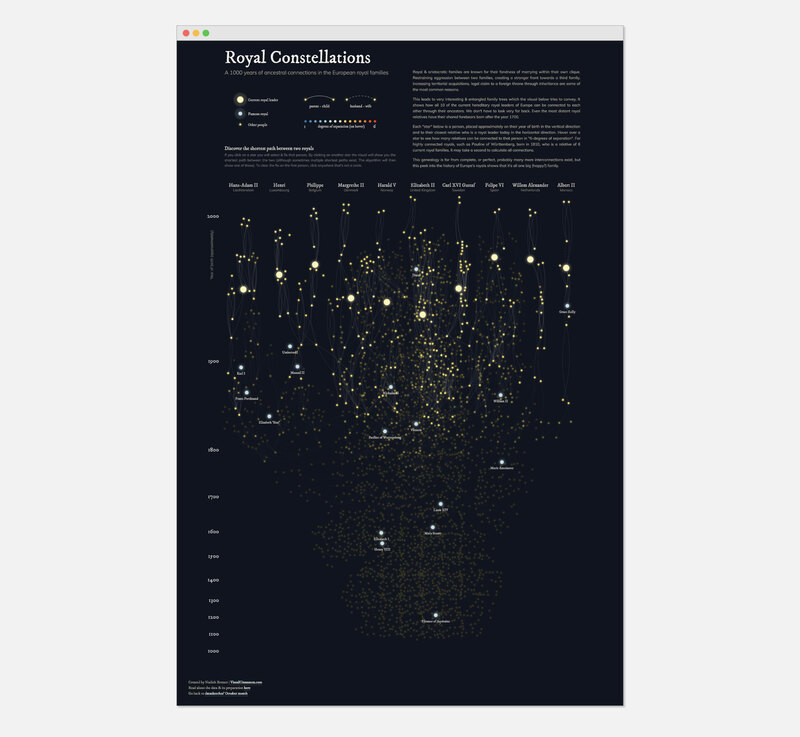 Dive into the web of family relations to see how all 10 of the current hereditary royal leaders of Europe can be connected to each other through their ancestors. 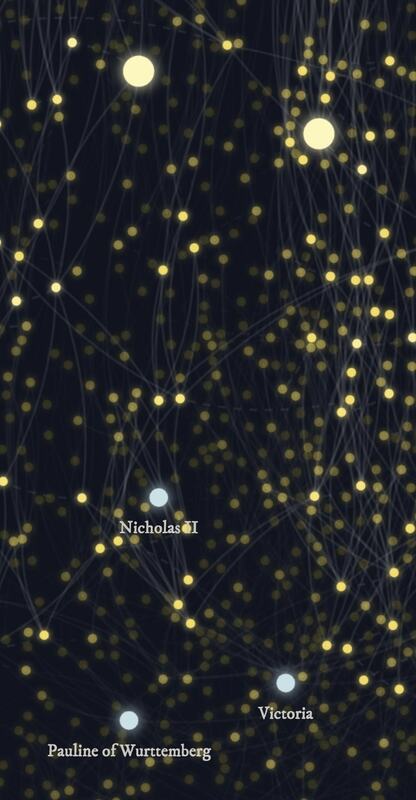 By hovering and clicking on one of the 3000 stars, each of which represent a person, the web reveals aspects such as 6-degrees of separation and shortest paths between two people. 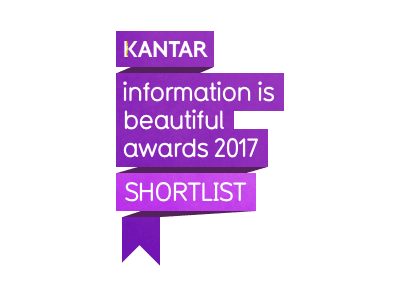 “Royal Constellations” was shortlisted in the People, Language & Identity category of 2017’s Kantar Information is Beautiful awards. This is my October visualization for data sketches. We had chosen the topic of Presidents & Royals and the first thing that came to mind was looking into the family trees of the current royal houses. You always hear that a lot of intermarriage happened, especially in the past, so I was wondering how connected the royals really were. I found a semi-structured dataset about connections in the European royal families from 1992, onto which I manually added the new generations of the royal families. 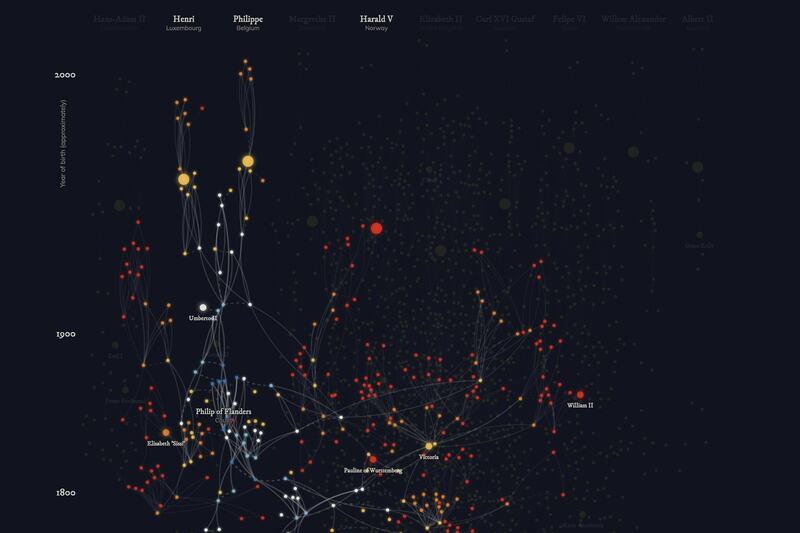 Because of all the connections between people in a family tree, a network seemed to make more sense than a straight tree-like visualization. Nevertheless, it still took me a lot of iterations before I was able to pull this family tree apart and make the insights visible. Going to a dark design to represent the idea of stars and constellations came quite late in the creation, and I was actually a bit surprised how well it fitted the design. 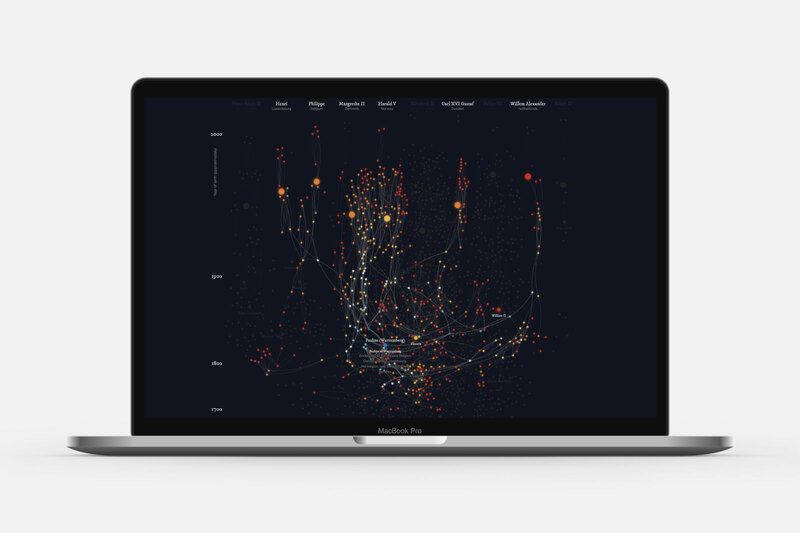 You can read more about the data, design & code in data sketches’ October write-up.